Hi! Welcome to Korean Bapsang (table)! My name is Hyosun Ro, and I am a Korean-American mom of two wonderful grown-up children. I am also a U.S. Government professional specializing in government contracting in Washington, DC. In the summer of 2009, I started this blog as a way to teach my children how to cook the food they grew up with. They frequently call me around dinner time asking how to cook certain dishes. Both of them love to eat great food and enjoy cooking. They grew up immensely appreciating family tradition and cultural heritage through food. Growing up in Korea, I always took great interests in my mother’s cooking. My mother is an excellent home cook and loves to cook for family and friends. When I was a newlywed, I recreated her dishes to feed my hungry husband. I then realized how much I had learned from my mother simply by watching and tasting her cooking. I soon had to start taking cooking seriously. My mother-in-law, as all Korean mother-in-laws of her generation do, expected me to produce a feast for every special occasion. I still remember my first big cooking event. It was my son’s 100th day after his birth (which is a big occasion for Koreans), and my parents-in-law invited everyone from their church. Since then, cooking became a big part of my life. I honed my cooking skills by hosting numerous gatherings for family and friends that always involved great food. The peak of my culinary adventure was my father-in-law’s 80th birthday a few years ago. It was a huge party, with about 100 people, and I made all the food at home. Through all these events, I became an enthusiastic home cook. This blog is the perfect outlet for my longtime passion for food. Through this blog, I hope to share the secrets of classic Korean home cooking and some of my other home favorites. As most Korean home cooks do, I have always cooked by instinct and eyeballing, so it is a little bit of a challenge to develop exact measurements and cooking times. For this reason, I test all the recipes as many times as it takes to develop accurate recipes that are easy to follow and produce consistently quality results. I would love to see my passion for creating great recipes develop into a cookbook to be passed on to generations to come. With this goal in mind, I treat each recipe I post as a page in my future cookbook. So, I’d like to invite you to share the experience as I create one recipe at a time! I’ve just come upon your site looking for Korean recipes that are a little easier to make and might be child-friendly. My two sons, aged 5 and 3, are Korean, so I love to honor their heritage. One question: is there a way to print out your recipes without printing everything? I subscribe to a few cooking blogs that have “printer-friendly” links. It makes it a lot easier for me to print and save in a binder. Thanks! I’ll figure it out and put the feature up soon. Thanks for finding my blog! Hope you find many recipes for your two sons and family. Yes, I second that comment! PDF-enabled features make it so much easier! Hi. Just saw u here at KCON. Had to come because my daughter loves KPOP. Glad I came and was able to see your presentstion. Looking forward to making the Wanjajeon. Hi ellie! I’m so glad you came to my workshop. That was lots of fun! Good thing you have the recipe card because I don’t have wanjajeon on the blog. Enjoy! And thanks for visiting me here!! I have been using your bibimbap recipe several times and it is my favorite one out of all other websites, but I no longer see it on your site. Please bring it back or send me your recipe. Thank you very much for your help hyosun. I thought I thoroughly searched the site already. I love your recipes. No problem! Thanks for the love!! Hello, I love your recipes so much. I wanted to know if it was alright to share your page on my blog. Thank you for all the delicious food! No problem to share my page with proper credit and link. Thank you so much for the nice words! Thank you for sharing. I was looking for Korean food in Pinterest, and by accident getting into yours. Reading your About, and found we’re sharing almost same traditions, same culture in food, family bonding and especially the love of a mother. I’ve been vegeterian for more than 3 years. But I can use your recipes and create vegeterian versions. I plan to retire soon so I’m trying learning blogging so, in the same purpose, I can share the passion of writing, cooking and sharing our Vietnamese traditions and culture to our young people who grow up here, in USA. Visiting your blog brought me back into nostalgia of my last summer in Seoul so much, especially how your dishes and recipes reminded me of the great food my host mom cooked everyday. I have a deep affection for the people I met and the traditional culture I experienced throughout my 2-mo stay in Korea that I am now still missing my daily life in Seoul very much. I always say to myself, the next time I am back to Seoul, it will feel like coming back home! Korea is like my third home, besides Vietnam and the U.S. Your recipes are even more special as it is written by you as a mother! I will definitely use them to fulfill my interest and love for Korean food, culture, and people. Hi Laura – I’m glad you found my blog. I know what you’re talking about, and will add that to my to do list. In the mean time, check out my regular bulgogi recipe. Thanks for stopping by! can you start an instagram feed? I’m not sure if it has been mentioned or not, but it would be awesome! One more thing, certain ingredients, if you can have (XXXX) in Korean so I can ask the person at the Korean market instead of saying um…the part of that body? 감사합니다! I know I have to catch up with Instagram eventually. It’s been in my mind. Good suggestion for ingredients in Korean. I will do that. Thanks! Hi Anne – Sorry about the late response. I was traveling and had limited access to internet. How awesome that you are going to make kimchi with your daughter! And thanks for using my recipes to learn Korean cooking. I currently don’t have a print recipe feature. It’s been in my mind though. Meanwhile, can you just select/highlight the recipe portion and print? What I am looking for is the kimchi version of Gut Chori. Whenever you get a chance, please post this recipe, it will be greatly appreciated! Jazmyn – Thank you for finding me! Hope you find many more recipes you like on my site. I know what you are talking about. I will put that on my list of things to do. I first visit your blog in this summer when I was searching for how to make the watercress. I really like your blog. Actually, I’ve looked for that recipe for a very long time. When I first took the watercress in a Korean buffet, I really like that and want to make it by myself. For a long time, I’ve searched different webpages to find how to make that dish. But the taste is still not the same as I remembered from the first time. So I have to buy the ready-made dish from a Korean supermarket in Falls Church, VA. But after I found your blog, it solves all the problems. Thank you so much! I’ve had meals in several Korean restaurants in Annandale, VA and I’ve found some dishes that I really like, especially the Korean appetizers. But I just don’t know how to make them, such as the bean sprouts, fish cake (taste sweet and spicy) and a kind of small fish (I’ve only seen that for 2 or 3 times, some of the Korean Restaurants do not provide that). If it is possible, could you add those recipes on your blog? That will be greatly appreciated. Thank you! Hope this blog will be better and better! Hi Rachael – Thanks for the nice words! I am glad to hear you like my watercress recipe. For those dishes you mentioned, they are actually side dishes that you’re to eat with the main dish you ordered with rice. I have a couple of different bean sprouts recipes on the blog. Also, I think the small fish side dish you’re talking about is myulchi bokkeum (stir-fried dried anchovies). If it is, I have a recipe on the blog. Please see my recipe index, side dish tab here: http://www.koreanbapsang.com/category/side-dish/page/2. Take a look, and let me know if you have any other questions. Oh I don’t have a fish cake recipe yet, but it’s on my to-do list. Greetings from Arlington, Va. Just returned from Super H with the ingredients to make a few of your dishes. Slow Cooker Galbijjim simmering away and it smells wonderful! I hope I can wait for it to finish cooking. I’m delighted to have a resource for home-style Korean recipes. If you have any workshops or classes in the area, I’d love to attend. Hi Ted – Galbijjim sounds great on a cold, snowy day like this. Hope it turned out well for you. Cooking classes are something I’m interested in doing in the future, so stay tuned! Thanks for stopping by! Hi Christine! Glad you found my blog and you live in the same area. Hope my blog will help you recreating your mom’s delicious food. Also, I should plan a meet-up with local readers so we all get to meet in person. That would be nice. Hi! My mom used make peppers (and beef too) that was pickled or braised in soy sauce. I can’t find a good recipe. Can you help? I use your recipes all the time! Hi Kim – sorry about the late response. I somehow missed your question. Is it not Jangjorim (braised beef)? Check here. If not, tell me a little more about it. 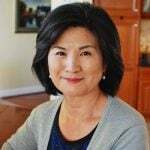 I am a Korean-American in Paris and am thrilled to have found your wonderful website with so many great recipes! Thank you so much! Your recipes are not only delicious but also extremely easy to follow…I think the best on the web! Aww thank you, Jason, for such kind and generous words! You just made my day! How is Paris for finding Korean ingredients? I traveled to Paris over 10 years ago, and we didn’t think there were good options for Korean restaurants. I’m sure it’s much different now. Would love to go back soon! I live in Vancouver, Canada. My wife is Korean and I have made her many dishes using recipes from your website. We both love the recipes and I look forward to trying as many as I can. I was even able to make her four of the traditional Lunar New Year dishes for this year, and she loved it. I am so happy to be able to make these dishes that remind her of family dishes from when she was growing up. Your Jap Chae recipe was especially successful and I myself love Dongchimi. She has even taken a picture of everything I’ve made to show her family. Thank you and I look forward to whatever recipes you post in the future. Hello Brandon – I am so happy to hear you make Korean dishes for your wife using my recipes! Nice husband! I am sure her family was very impressed. Thanks for coming by and letting me know how my recipes are helping you. It means a great deal to me! Greetings from New Hampshire, Hyosun! I stumbled upon your blog via The Daily Meal website, and I am glad I found it. Our son is adopted from S. Korea. (He was born in Incheon.) We traveled to S. Korea to bring him home, and we fell in love with Seoul and the surrounding areas. The food was amazing, as were the people we met. We love trying all sorts of Korean food with him, however Korean restaurants are hard to find in our area. We do have an H-Mart close, and we have purchased many ingredients from them, and now finding this blog we will be able to make some authentic recipes for him. We also have a daughter from China, and it is much easier to find Chinese food for her than it is to find Korean food for our son, so I am so excited to have found this website. Thank you for taking the time to create it. Hi Paul – I am glad you found my blog as well, and hope you find many recipes your family can enjoy together from my site. Now sure how old is your son, but please let me know if you have any questions as to what dishes are suitable for his age, child-friendly, etc. I wish you and your family well! Hi Jaeyoung! Aww thank you so much! Those words mean a lot to me. 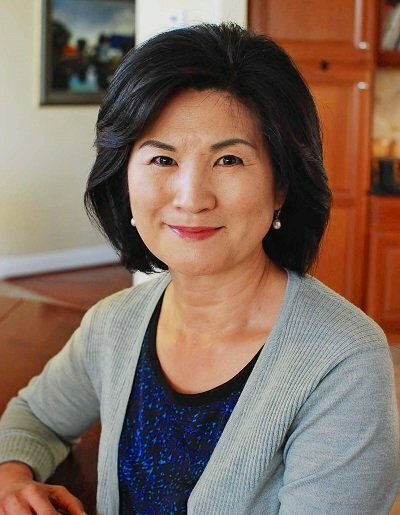 I am thrilled to hear my recipes help you recreate the foods that you grew up with and reconnect with Korean heritage. Keep on cooking and continue the tradition! Dear Ms Ro, I am a Malaysian married to a Korean husband. Cooking for him everyday was painful to me because he is the type of man who finds strength in having a proper rice meal for breakfast/lunch/dinner. Your recipes help me to figure out what to cook for the day and “banchan” which i can prepare in advance. Thank you for sharing. Thank you very much! Oh I know many Koreans, especially men, are like that. How nice of you to make three meals a day for him! I know it’s not easy. I’m glad to be helpful, and thank you for using my recipes! 감사합니다. 아직 출판은 못하고 있습니다. 통역하시는일 좋은일 하시네요. 예 그렇죠 우리 음식을 영어로 설명하기가 쉽지않아요. 수고하세요. Hi! I am a gardener for a family in Nebraska that brought lettuce seeds from Korea to plant in the garden. I planted 10 different varieties and 8 are growing prolifically. I am not sure what types of lettuce they are as the packages are all in Korean. Several look like typical red leaf and green leaf lettuce, one looks like bok choy. The others I am not so sure about. One says it has to be boiled or steamed before eating and another one smelled like black licorice when I picked it. Do you know of a good website with pictures that I could use for reference? Thank you for this blog! My sister in law is from South Korean and when living with her for one summer I enjoyed many delicious Korean meals and snacks and now want to make them for my husband (neither of us Korean). We don’t live near Asian markets so I’ll be ordering some ingredients online. We do make special trips out to eat at our favorite Korean restaurants and I make bulgogi at home, which is one of our favorite meals. I’m looking forward to making the Spicy Grilled Chicken and Tteokbokki! I made my own rice flour and am going to try making garaetteok myself. 🙂 Thanks again! Hello Ms. Ro! Thank you for keeping up with this blog! I’ve tried many Korean recipes on the web, and I find that yours most closely approximates my mother’s home cooking–simple, elegant and tasty! My mother is not able to give exact measurements for ingredients and I am recipe reliant so your website saves us both from translation frustration! ? I wanted to ask you about meal planning, especially for large feasts. You wrote about how you prepared large meals for family gatherings etc. What was on your menu? I want to be able to make some Korean meals when I invite family and guests over, but I am unsure what should be on the menu. I would appreciate your advice very much. Thanks again for helping me to continue the tradition of homemade Korean meals for my Korean American family. Jin – Thank you for the nice words! Mean so much to me. Always happy to hear my cooking is similar to another Korean mom. I promise I will take the time to answer you question soon. It’s just been so hectic around here due to my travel and other commitments, etc. Please check back in a few days. oh I just came back from LA. How nice to live in Korea Town! I really enjoy Korean restaurants there. And I visited several Korean markets there to buy ingredients for my cooking demos. Hope you try making kimchi soon! Thank you for all you do. It’s very helpful. Your a huge inspiration to hundreds of people ??? Hi! I’m living in Dubai, U.A.E. I tried Bibimbap in one of the korean restaurants here and I just loved it so much. I came across your blog while looking for the recipe. It seems easy to make, I will definitely try and cook it tonight. Hi! I am a Korean/German from Hawaii. I now live in Northern Indiana and access to Korean ingredients is limited, but that’s changing. I grew up with Korean food as my mom fixed it and, of course, love it! As does my husband who is Filipino/Irish/Portuguese. My mom used to make a pancake with assorted vegetables that she called “pajok” I think. It was delicious, but I don’t remember how she made it. It would fill the whole pan, she would take it out and cut it in pieces to serve. Can you help? My grandma was from Seoul, if that helps. I’ve noticed over the years that the cooking language I’m accustomed to from Hawaii is different from a lot of the Korean restaurants I’ve been to in the country. Apologies for being wordy. Your site is wonderful and gives me hope! Hi Liz – I think you’re talking about pajeon. See if this recipe is close to how your mom used to make. http://www.koreanbapsang.com/2009/10/haemul-pajeon.html Hope you can recreate your mom’s food through my blog. Thanks! Thanks, Hyosun! The recipe is just the thing I was looking for. Now my husband will be delighted! He missed it! What kind of table-top grill do you suggest for a traditional Samgyupsal gui? I’d like to set it up nice and grill at the table if possible, but I can’t find the perfect grill. Thanks to you that I’m learning how to cook Korean food. My Korean husband is happy that I’m able to cook Korean dishes on my own. Warm hugs to you. Aww that’s great to hear! I am very glad to be part of your learning Korean cooking. Thanks for the note! 한국요리를 너무도 잘 담고 있는 이곳을 발견하게 되어 너무 기뻤습니다. 반가워요. 방문해주셔서 고맙구요. 자주 들려주세요. I’m going to make 된장찌개 tonight. I found your blog a while ago and I’m excited to make something finally. I have a favorite restaurant in Korea that serves this stew, so I’ve been wanting to make it at home. I am leaving soon for the States, and I am going to miss all this good Korean food at my fingertips! Thank goodness for this blog! I had a suggestion for instructions on how to make 곤드레밥 because I just love it, and I’d love to be able to make it after I get home. Also, both the stew and the rice dish often can be paired with this spicy fried beef kind of dish.. where the meat pieces are covered with some red sauce and red pepper flakes. I would love to know the name of it and how to make that too! More dishes I’m excited to try are the fried fish cake and soy braised beef side dishes. I love those so much!! Thanks! Greetings from L.A. I’m of Mexican American hereitage and I just discovered your website while looking for Korean bbq rib recipes. I plan to make your recipe tonight. I love Korean food. And also love everything Roy Choi does here. I’m going to check out all your recipes. Thank you for your sharing. I have been coming to your blog for about a couple years now and wanted to thank you for all your wonderful recipes! I am a Korean American raised in California and re-located to Ohio shortly after marriage. I was barely learning how to cook simple dishes from my mother before she passed. Being in Ohio with nowhere near the Korean community I had grown up with I was lost for awhile, not knowing how to re-create recipes from my childhood. I have learned so much from your blog and I really appreciate the substitutions you offer for different recipes in case something is not available. It allows me to sub vegetables that I have better access to and as long as it’s fresh, it tastes great in the recipes. I can cook Korean meals pretty much whenever I want now with a fully stocked pantry and I have slowly been helping my younger sister learn how to cook Korean food too. If you ever published a cookbook I would buy it in a heartbeat. Thank you again! Hi Sue – That’s so great to hear! I’m glad to hear you’re able to make Korean food with the ingredients you can find in your area. Thank you so much! Oh my goodness Mrs. Ro! I am SO happy to have found your website! I lived in Korea (Daegu, Jeonju, Seoul) for 5 years teaching English, and miss the food so much. It makes me so happy that your blog exists, so that I can bring the food from “home” to my family back here now that I’m in the US again! I was wondering if you take requests? I got a few family recipes from my last director to bring home with me, but cannot, on my life, find my absolute favorite Korean dish online or in restaurants… Do you have a recipe for gamjatang? I ate it at least once a week when living there and am desperate to have it again! 로 선생님!!! 안녕하세요, I am a Korean-Canadian and I am so glad I found your website. I found it through searching how to make 대구탕, not expecting such an authentic home-cooked style that reminded me so much of my family’s cooking. I actually recognized you from Buzzfeed’s video when you made the mini 김밥!! I was so excited looking through your archives – I love the way your photos come out, your instructions are very easy to follow and I LOVE the simple and elegant ideas behind your cooking and Korean cuisine in general. I value my Korean culture so much and I want to thank you for helping me reconnect to my heritage through your website. My parents are amazing cooks but they don’t often have the time to teach me how to make certain dishes, but I always like to watch and help out a little, however thanks to you I can make all my favourite foods when I am away from home!! I especially loved your post on the Korean temple cuisine, I learned a lot – please make more Korean temple foods!!! I am visiting my parents this weekend and I am so excited to make some of your recipes!!!! 수고하세요!!!! more than the recipes — I love and look forward to the anecdotal stories accompanying each of your recipe postings. Thank you so much for your generosity. best wishes always. Thank you so much for the nice words! It’s my great pleasure. You are a wonderful human being, Mrs. Ro! Thank you for everything that you do, and for sharing these recipes and stories with us. Aww thank you for such nice words, An! They mean so much to me. It’s my great pleasure to share them with lovely people like you. Could you please post a 오징어채무침 recipe? I love your site and I find it very helpful/delicious. Thank you so much for this website! I’m very grateful to you for putting so much work into creating perfect recipes so that non-Koreans can learn to make Korean food. Several weeks ago I had a beef and kimchi tofu soup at a Korean restaurant and I have been wanting to have it again ever since. I have three very young children who are no fun at restaurants so I haven’t had a chance to go back. I do live near an H Mart though, so after finding your website I went to the store and made myself kimchi soondubu jjigae for lunch. It was wonderful. I just made it again tonight for my family (although grown-ups only) and everyone loved it. I also made your bulgogi deopbap and it too was amazing. My husband had never been able to try bulgogi before since he is allergic to wheat so I made it with a wheat-free soy sauce. Now that we have found your website he will be able to try many more Korean dishes that he can’t get at restaurants. Thank you, Ms. Ro! Love your ox bone recipe, it’s so good ! Hi! I recently found your blog and love reading it, as well as the recipes! I’m wondering if you have a meal plan on your site? It would be so great to know how to combine your dishes together for a weekly meal plan including traditional breakfasts, lunches and dinners. I don’t have a meal plan for now, but I will certainly adding it in the future. Thanks for being a new reader! I’ve found your website to be extremely helpful and authentic. Unfortunatly, I lost my mother-in-law in January to pancreatic cancer and I learned how to make several do her dishes most importantly the banchuns. I was happy to find the Yangnyeom gejang And ganjung gejang as its my husbands favorite. I was hoping you could help me with a recipe for the spicy pigs feet? I know it’s possible she made Up her very own recipe, but they were the white ones not the dark soy based ones. The taste reminded me of the sauce on bibim guksu. Any ideas would be appreciated, thank you so much for having traditional recipes. Hello, I am from Bangladesh. It’s a great web. Love & like some dishes. Specially the Kimchi recipes. Think I will make those in this coming winter in my country. Thank you, Ahsan! Hope you enjoy many of my recipes! Thank you, Hyosun! As a former English Korean teacher I miss the daily soup provided to me during lunch! My new husband and I are excited to start learning from you! Thank you, Meg! I hope you can recreate many of those dishes you enjoyed in Korea through my recipes. Best wishes to you and your new husband! I love your recipes and rely on them every week. After I moved out of my mom’s house and started cooking for my own family, it’s been difficult trying to recreate the home cooked meals I grew up with but your recipes make everything very easy to make. I am curious if one day you would be able to create a recipe for something I ate a long, long time ago. My aunt once cooked green beans in a sweet soy sauce…I think they were braised because they weren’t as crunchy. It reminded me of jang jorim except sweeter. I normally hate green beans and will never touch them but I loved this side dish. I’ve never cooked green beans so I don’t know where to begin. Oh! Also, maybe a bokkeum bap recipe you get at Korean BBQ restaurants where they make it via tableside cooking? That would be delicious! Anyway, thank you for providing these recipes. Of all the Korean recipe sites I’ve found, your recipes taste the best and most like my mom’s cooking. Thank you! Thank you Ms. Ro for all your wonderful recipes! They are easy to understand and follow with important tips. My mother is Korean, but never allowed me in the kitchen. I use your recipes for the delicious tastes that I remember from home and can now make for my family. Thank you. Thank you so much! Happy New Year to you and your family as well! Hi Ernie – Korean radishes are very juicy and sweet in the fall/winter. Not sure where you live, but fall/winter radishes shouldn’t be bitter. You shouldn’t have to peel. Hope you try it again with good Korean radish. Also, you can add a little bit of sugar if you want. It will help with the bitterness. in WA state, all the veggies for Hanguk foods are readily avail.. My commute to buy Hanguk radish is approx. 2 hours, but might be the best option. Presently started a batch of peeled daikon, & so far, from sampling etc., determined the skin to be pungent/bitter-like. My ingredients for the daikon have included sugar…will give it a try with Hanguk radish. Other than waiting to eat the kkakdugi, any disadvantages to a longer sea-salt soak-time? This radish kimchi is my fave & mainstay…I need to master this before moving on to other dishes. Thank you for your blogs, photos and recipes! Any more thoughts on putting all this in a book? Videos? Last night I used your Bibimbap recipe and the result was a delicious meal for two! I am an Australian male and wanted to surprise my wife by cooking dinner. The meal took some time to prepare, but the finished dish was delicious, fresh, spicy, crunchy and similar to the style back home in Korea. She really enjoyed the meal so I say thank you for giving us this fantastic recipe. Hello Salvador – That’s great to hear! I know it takes some time to prepare but totally worth it, right? Thank you so much to come by and letting me know. It means a lot to me. I saw some time ago where someone asked for a menu of dishes to prepare a feast for a larger gathering but never saw the reply. I am catering a weekend experience which requires vegetarian meals with the exception of fish acceptable in a Kosher Diet. I have no experience with Korean cooking and the nature of this weekend fits it nicely with Temple Food, ala Jeong Kwan, Philosophical Chef and I would like to prepare or have prepared a buffet dinner for 25 people featuring a few of these dishes. I have a great recipe for Zucchini and Mushroom Dumplings for one dish and can purchase locally made Kimchi from a Korean Restaurant in our town, but I would like to have some other dishes to round out the buffet. Can you share a suggested menu and some recipes??? oh so sorry hope this is not too late. I recently posted ideas for Korean dinner parties, although not vegan dishes. How about eggplant rolls, tofu gimbap, Kongnamul japchae, gamjajeon (potato pancakes), etc.? Also if you go to the vegetarian dish tab, there are many vegetable side dishes you can choose from. I noticed in your recipe for slow cooked pork belly it required cooking liquid strained, what kind of liquid and can I buy it somewhere? Your Kimchi recipe looks beautiful. I have never made it and really want to. They are fresh shrimp (or previously frozen), not the preserved ones. I use them in addition to Korean salted (fermented) little shrimp. Did you have a problem leaving a comment on the kimchi post? Just curious because some people do seem to have a problem occasionally. Thank you for these recipes! I am relearning Korean cooking. I grew up in Korea and live in Seattle, WA. I miss my mother and my grandmother’s cooking and try to remember how they cooked traditional Korean food. Hi Lisa! I’m so happy to hear you’re relearning Korean cooking and my recipes are helpful. Mother’s and grandmother’s foods are the best! Thanks for visiting and sharing a little bit of your story. Happy Korean cooking! I think I found the right one. I am looking forward to try Korean food especially your Spicy Braised Tofu. Love your recipes! Thank you for sharing them with this newbie mom in California! Also do you have a recipe for crab stuffed with rice? I really want to try using crab and I love that dish but can’t find a recipe. Anyong Hashimnika? I am a Canadian who has spent a lot of time in the ROK over the past 2 decades. I cook Korean food, I shop at the Korean grocery stores here in Toronto and love, love Korean food. The balance of protein to vegetable to carbohydrate is so sophisticated, the flavorings so complimentary to the different dishes – especially ttukbegae and other jjorim dishes. Wonderful website. Thank you! Greatly appreciated whatever recipes you post here as i’m learning to cook different Korean dishes as my children love eating food from different countries. I just have to drive to get Korean ingredients and stock some at home. Just fumble to your site when i search for the right type of noodle to make Black bean sauce noodles. Thank you so much for your website! I grew up in Annandale, VA and moved away from the area a few years ago. I recently (a few months ago) landed in the SF Bay area and it somewhat reminds me of home, there is a wonderful mix of people and cultures here. I came across your website today while looking for banchan recipes and I am beyond thrilled. While I am not of Korean decent, your website has invoked the greatest home-sick reaction since I left three years ago. I love your recipes! I’m an American who came to Korea as an adult and met and married a Korean man. I didn’t grow up with Korean food but I love it and your recipes have really helped me improve my meals! If you have recipes for tubu turu chigi and kim muchim, I would love to try making those dishes as well. Hi, Ms Hyosun, I’ve been following your blog for two years now and I learn to cook Korean food because of you, and you are my gold standard of authentic korean way of cooking! However, there is one recipe that I’d really like to have but I can’t find on your blog is jokbal. I always see it on Korean variety show. I live in Seattle and there only a few restaurant that offer this dish here and it’s expensive. I’d like to cook it myself and you are, of course, my go-to guide as to how to cook it. Will you consider offering this recipe? Saulai — Thank you so much for such generous words! You just put a big smile on my face. Jokbal is my family favorite as well, especially my dad. I will add it to the list. Thank you very much for your sharing your knowledge and your love for Korean food. Thank you for teaching me how to make Korean food. I talk to your website as if I am talking to you with my kitchen alongside me. My mother-in-law passed away before my husband and I met and homemade Korean food is very sentimental to my him. My husband always tells me I shouldn’t stress myself out about trying to learn how to cook but I know how important it is to him. I am not Korean; I am Mexican-American. I can always turn to your website when I need to look up something or just need reassurance that I do know what I’m doing. Thank you for teaching me how to cook and be able to teach my children about their Korean culture. Thank you for allowing me feel close to the mother-in-law I never got to have. Emily – Thank YOU so much for sharing your story! I get a lot of comments here and through emails and social media, but you’re the first one telling me you talk to the blog as if you talk to me. How sweet is that! You’re awesome! I truly admire your passion to learn Korean food and culture for your husband and children. I’m sure your mother-in-law is looking down, smiling. Thank you, Mrs. Ro!! I am so grateful for you and that you have collected so many recipes on your site. I wish I had learned how to make the food I grew up on from my grandmother before she passed away. I’m so excited to try these recipes – yours are the first that look like the way she made our dinners!! Thank you, thank you! You’re welcome! Glad to hear my recipes look like how your grandmother used to cook. Hope you try many recipes! Hi! Can i ask question? If there os no blacbean paste. What is the best substitute for it? For cooking jajangmyun. Sorry there’s no substitute for black bean sauce. The black bean paste (jajang) is what makes jajangmyun what it is. Wonderful website with lots of useful info; I tried yournslow cooker recipe and it was a big hit! Beautiful photography as well! Thanks so much! Hi Hoyoung! Thank you so much for the nice words! Hope you enjoy many of my recipes. Hello Mrs. Ro and many thanks to you and the blog for teaching how to prepare the Korean foods me and my husband love or try completely new things! In Finland there aren’t many Korean restaurants but I’ve had a distant love affair with the cuisine since 2012. In 2016 we had our first chance to travel to Korea and experience everything as authentic as possible. We went back in 2017 – and I’m hoping to make it again this year! Last year was the first year I really had the guts to go all in with buying and trying Korean ingredients on my own being able to read hangul and the labels in Asian grocery stores. I’ve always loved cooking – and had a revelation with making the anchovy broth (for 된장찌개 😉 – it’s not that hard and intimidating after all although challenging at times. I’ve yet to make my own kimchi. The ready ones we buy don’t seem to have a lot of juice in them 🙁 any ideas to substitute the kimchi juice in recipes requiring that? So far I’ve only diluted the amount I’ve had with water. All the best and success for year 2018! Thank you so very much for the recipe. So delicous! This is the best part of being an american, sharing others culture and especially the food! My eyes and stomach go nuts when I see this cussine. You are very pretty and your articles are written so well. Thank you Hyosun. Hi, I am German living in the U.S. and have always been fascinated in the Korean culture and love Korean food. However, I have always been afraid of preparing it myself due to the unfamiliarity of a lot of ingredience used in Korean cooking. When I ran across your website, I decided to give it a try. The step by step recipes looked easy enough even for me to follow and your tips about what to look out for were very helpful. So far I have prepared 3 dishes and they tasted delicious. I am learning a lot and I will continue to try out more of your delicious recipes. Thank you for sharing those wonderful recipes. Hello. I am so glad I found your website. I absolutely love Korean food. I moved to Idaho from the Washington dc area and cannot find any Korean restaurants anywhere. I love to cook so I am excited to try these recipes. Thank you for such nice words! You’re the third person who have written a note to me about making bibimbap for the Olympics. I’m so happy to hear that! And thanks for choosing my bibimbap recipe! I know there are many out there on the internet. Cheers! Annyeonghaseyo! I have recently become a big fan of your recipes!! I keep coming back to learn more. My family LOVES your salmon bulgogi recipe!! And I can’t wait to try making Oiji from scratch using your recipe. One quick question, is there a way to search a recipe by typing the name? I usually read them on my smartphone, which doesn’t seem to have an option to search for a particular recipe unless you keep moving to the next pages. That’s great to hear! Thanks for letting me know and for being a big fan! Regarding the Search box, the mobile version was somehow missing but has now been added back. Thanks! I have a 12 year old daughter who is OBSESSED with Kpop and spends many hours watching you tube and learning about Korean culture. Food has been a wonderful way for our family to experience and learn as well. Thanks for your recipes! I have recently discovered your website and I love reading your recipes, seeing the pictures, and learning about the different dishes and their cultural significance to the days and seasons in Korea. I was adopted from Korea at about 1 year old, and I have found myself yearning to learn as much as I can about Korea and *my* culture as I can, (now in adulthood) even though I’m approaching it as a total newbie. I know my Korean mom would want me to learn, so thank you for contributing to that. Emily – Thank you so much for sharing your story! I’m grateful that you allow me to be part of your learning Korean culture and cooking. Wonderful website!!! My family loves the recipes!!! hi! Mrs. Ro .I’m Sri Lankan.I love this web site and thank you to sharing this sweet knowledge. 🙂 I like to eat and make korean foods.but I have a question. mm.. If I couldn’t find Black Beans, can I use Kidney beans ? What are you going to make with the beans? Thank you for sharing these wonderful recipes and thank you for your effort. Hi Hyosun, thank you for your beautiful and useful blog. I love Korean food, having visited Korea a few times. I am a Malaysian of Chinese descent. I have tried cooking a number of your recipes and found them them tasty and similar to those I tasted in Korea. I shall continue to try out your recipes and hope that you will continue to update your blog. Hello! I sat next to you today at Cafein but didnt recognize who you were until I left! 🙂 Wish I could have said this in person. Thank you for your recipes! My husband and children thank you too. Hi Meeyun! Were you the nice people who shared the table with me? Thank you so much! How did you know it was me? Please say hello next time you see me. I go there quite often on weekends. I just subscribed and I am sooooo excited to try new Korean recipes! Although I am not Korean, I love making Japchae, bibimbop and Korean bbq ribs and my family loves eating them! I do have one question about the mandu wrappers. Is there a specific kind? Can I substitute them, if I can’t find the wrappers in the store? Hello Hyosun! I am so excited to discover your blog for the first time today! I went to school in NYC for a couple of years with 6 Korean roommates who introduced me to the awesomeness that is Korean food. I think I went to more restaurants in K-town than the rest of Manhattan combined. Now I live in a much smaller city with only one expensive Korean restaurant and no markets so I have been missing the food a lot. I can’t wait to start making these recipes! I think I will make the Doenjang jjigae first but am also very much looking forward to trying your spicy seafood japchae. I also look forward to next summer – I didn’t think I would get to have mul naengmyon again! Is it possible that you create a youtube channel to show us how to cook Korean food? Thank you! I’m slowly getting there. Hopefully in the near future. Thank you for sharing your recipes! Your recipes have been better than any Korean cookbook I’ve tried. My husband loves bossam and was really excited to try it when I made it using your recipe. It’s was amazing! I strained out the fat from the cooking broth and it turned out to be a delicious soup. I’ve made several other dishes from your blog and all have been amazing! Thank you so much again. Please keep up the great work! You’ve made me a great Korean cook. 😁. I just subscribed and became a big fan already. Thank you for your time and effort for this blog!!! Aww thank you! Hope you find many recipes to try. Hi Hyosun! Thank you very much for all your recipes and hardwork! I’m planning on moving to South Korea in a few years and wanted to learn how to cook some authentic dishes, so once in Korea, I can fully immerse myself in the culture. Please keep the recipes coming 🙂 I really appreciate them. Do you offer cooking classes sometime in the near future, a private or group lesson? Not at this point, but hopefully in the future. Where do you live? I currently live in Boston, but I spend quite some time in DC nowadays. Hello, I am Hyunjun Kim, a 26-year-old man in Korea. While I was meeting foreign friends, I found out that they are very interested in Korean food. So I’d like to take your recipe and produce one YouTube video by one by one. May I refer to the recipe if you don’t mind? Hi Hyunjun! Thanks for asking, but I’m sorry I don’t want you to use my recipes to do YouTube videos. I’ll soon be starting my own videos of my recipes. Hope you understand. I see.^^ thank you for your reply. and Happy new year. Dear Mrs. Ro, Thank you so much for sharing these wonderful recipes with us. I am from Dominican Republic, an Island in the Caribbean, I live in a very small town in Michigan, USA now. I give you my background because I want you to know the diversity of people your blog is reaching to. I can feel so much love involved in the creation of this blog and I feel honored to be able to join it. I can’t wait to try the recipes you have posted. Thank you again! Aww thank you for sharing a little bit of your stories. So happy to meet you here on line. Hope you make some delicious Korean foods soon. Hello Ms Ro. I’m a fan here I would love to try those recipes you posted, if you have a book please let us know, I would love to buy. Please consider writing a book, even if only a small one. Your recipes have beautiful photos and are so easy to follow. Aww that’s so sweet of you! I really hope I can soon. Thank you so much for your support and encouragement! Thank you so much for posting your recipes! I am a Korean who was adopted to an American home when I was 7 years old. I remember the food that I had in Korea the most. Every time I eat the food, I feel a sense of connection to my first country. With your recipes, I can make my own authentic Korean food, which makes my family and I very happy. Aww thank you so much for sharing your story and using my recipes, Meghan! So happy to hear you feel a sense of connection to Korea through the foods you make! Thanks for letting me be a small part of it! I am really loving all of your recipes! I am Korean American as well, and I adore Korean food but never quite learned how to make it, but this arrangement of recipes have been so helpful and Delicious! I’m wondering if you have a cook book I can purchase? Hi Hyosun – I’m getting ready to follow your recipe and make kkakdugi. When searching for recipes, I saw others that called for using rice powder to make the pepper paste, but didn’t see that in yours. But then in the comments to the recipe, you mention the glutinous rice powder. So I thought I must have missed it. But when I double checked your ingredient list, it is not there. Am I still missing it, or do you not recommend using it? I need to know if you recommend it, and how much to use, etc. I’m anxious to get started on my kkakdugi!